We are proud to introduce the exclusive Pfister Club Lounge, located on the 23rd floor of our downtown Milwaukee hotel with expansive views of the city. The Club Lounge is open 7 days a week. With an atmosphere similar to a home library, the Club includes a fireplace, bookshelves, comfortable seating and workstations for individuals and small groups. Additionally, our executive lounge also features complimentary Wi-Fi Internet access, printers, and televisions for monitoring the day's events. Pfister Club Lounge guests can enjoy breakfast each morning, snacks, non-alcoholic beverages throughout the day, hors d'oeuvres in the evening, and complimentary WiFi. A Club Attendant will assist Club Lounge guests, providing the high level of customer service that our guests are accustomed to. Guests can reserve a Club Room, located on the upper floors, which includes exclusive access to the Pfister Club Lounge. 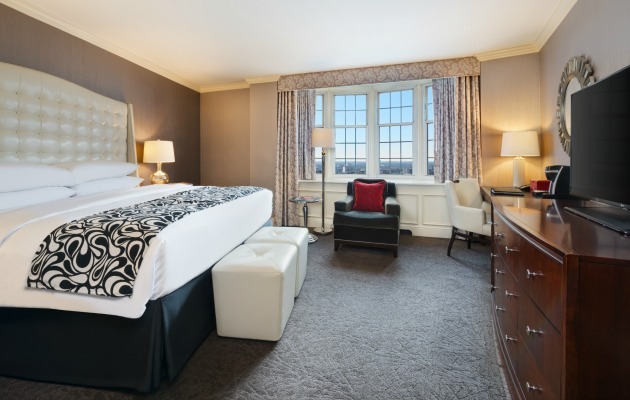 As one of the city's finest luxury hotels with a club level, guests can enjoy special amenities in the room such as Keurig Coffee Makers, Turndown, and Shoe Shine service. The Pfister's aptly named 23rd-floor executive boardroom, Twenty 3, has moved approximately 50 feet down the foyer and was reconstructed to accommodate the new Pfister Club Lounge. 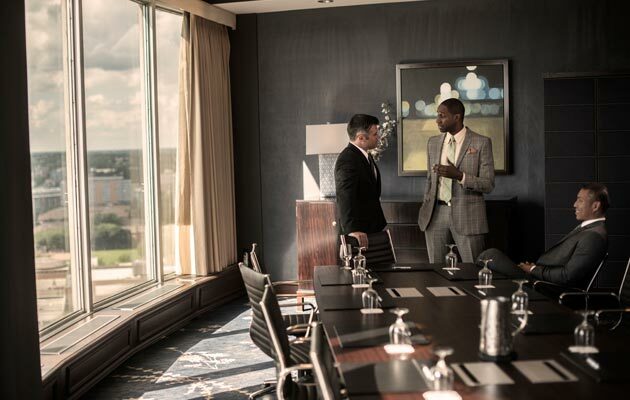 Located near Milwaukee's historic Third Ward district, the Pfister's upscale boardroom now incorporates unmatched presentation technology including 3-D, gesture recognition, and immersive technology and mapping capabilities. The downtown Milwaukee hotel's team of onsite technology experts will assist meeting planners and presenters turn their videos, graphs, PowerPoint and Keynote files into powerful, interactive presentations displayed on two 65-inch, side-by-side monitors. Gesture recognition technology enables presenters to use their hands as a mouse, wirelessly controlling presentations by swiping the air to change slides and using finger motion to play video and move objects on the screen. Theater-quality surround sound provides the audio component for high-impact, engaging presentations.